Are you constantly taking selfies? Or are you looking to make a little extra cash by doing something as simple as snapping photos? Well, there are actually companies out there where you can get paid to take selfies. I know it seems crazy, but this selfie craze may actually pay off. Each service is slightly different, but the premise for how to make money is simple. Take pictures submit them through the apps and get paid by companies for the right to use those pictures or to collect data on you for advertisers. You aren’t going to get paid for every picture and the better you are at taking pictures the more likely you are to be able to make a sale. The more this idea takes off the more companies I expect to get in on the gig. It really is a great deal for the photo sellers because they get masses of photos to work with and then get the bulk of every sale. Pay Your Selfie hit the Internet by storm and then disappeared for three months. It is now back and the new version is even better than the original. The app works like a selfie scavenger hunt where you get paid for specific pictures of you doing things. 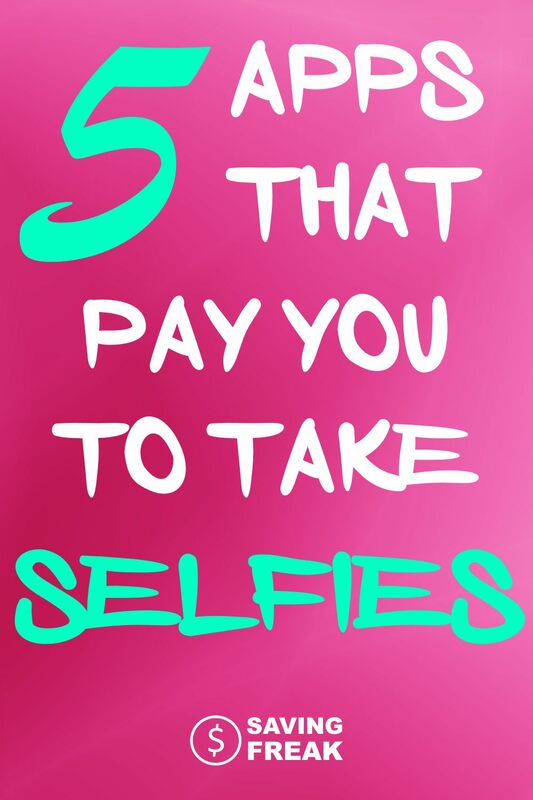 Pay Your Selfie will give you tasks that pay anywhere from 20¢ to $1. Complete the task by taking a selfie as per their instructions. The way their system works is that these tasks are made to help the service understand you and then connect your needs to advertisers. For example, they have you take pictures of your worst pair of jeans, analyze your pics, and then send you coupons for discounts. It looks like a great business model and it is a good opportunity if you have the extra time to do the tasks. I earned my first $1 just for snapping my first selfie of myself sitting on the couch. The tasks are easy overall and quick to do and PayYourSelfie has proven to me that they are going to be around for a while. This has become my favorite of all the get paid to take pictures apps because it is easy, the money is pretty good, and they make it so easy. Even though the payouts are a little lower, this is my favorite app of the group because of it’s easy interface and consistent paying selfie options. This one looks like it should be the most promising from the group, but the payouts haven’t been as consistent as Pay Your Selfie. Submit Pics for Cash has an easy interface and a good model. You take pictures of yourself and upload them in to be approved. They pay you between $1 and $5 for each picture that gets approved. Every person on the platform is considered a model. So you sign an agreement that you are who you are and that you are releasing the photos to be sold. I am going to be honest, if you are an attractive person you are going to get more with this service than if you are not. That being said, the reviews I have read have people of all persuasions getting paid so do not fret if you aren’t stick thin with high cheek bones. They have moved more toward giving assignments. This means they give you some direction on what selfies they want from you and give you an amount you will get paid. When I first signed up there were immediately four assignments in my inbox and each one paid $5 upon completion and approval. The site is only a couple of years old so I am guessing there will be changes as time goes on. So far so good and I earned my first five dollars already. Scoopshot is interesting, but it has a slight drawback. Where Pay Your Selfie and Pics for Cash have come through for lots of people, ScoopShot is not quite as much of a guarantee of cash. You post your pics and they are purchased for use by other people. They run frequent contests where you can submit your pics. If you are selected as one of the winners of the contests you get paid for your picture. McDonald’s did a contest and selected 50 photos from among 800. The people who were selected got $15 each. Since your pics are competing against others, you are going to need to take much better selfies’s to get paid by this one. There is no direct page to go to for ScoopShot so do a search in your app store. This one is an interesting mix of shopping site and paid to selfie network. Stylinity works by you purchasing clothing from their site and then taking pictures of yourself wearing the clothes. You can edit these pictures to include the exact items for sale. Once you post your pictures to the site they go into a shopping page. If someone sees your picture and clicks through to make a purchase you earn “StylePerks” these perks can be redeemed for cash and fun products. The downside to this one is that it is very unreliable as to whether or not you will get paid. If you are good at editing your pictures and making them appealing to click on, then you could make some decent money with this site. Clashot makes it easy to take your quality smartphone images and upload them to their service. Once uploaded they go through a screening process to make sure they have a minimum quality before they are sold. What separates this particular app from other photo selling opportunities is that they make your photo available for download through the DepositPhotos Photobank. You get the title of being an author and make 44% of the sale of any photo. This can range for a minimum of $0.50 up to premium photos which can make you as much as $80, though this is really rare. To make the most you can check out other popular authors and you should give detailed descriptions that allow people looking to purchase images to find yours inside the search feature of the DepositPhotos website. This concept is really just in its infancy. I expect more companies to pop up and these current industry leaders to change as the market becomes more saturated. Either way this is a fun way to make a little extra money on the side.